When it comes to HDMI cables in the home or in a workplace, people want to keep these items out of sight but still take advantage of all the benefits they bring. 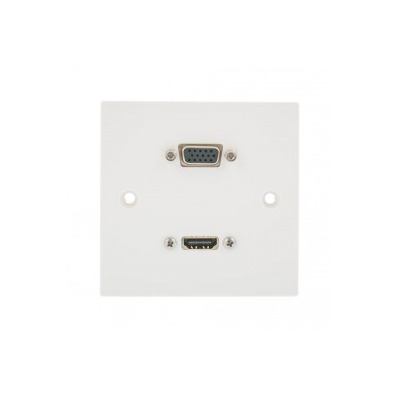 At Euronetwork, we have a fine selection of HDMi wall plates that offer a neat and tidy plug and play solution without the need for soldering. The vast majority of the technological equipment found in the ordinary household today has an HDMI connection. 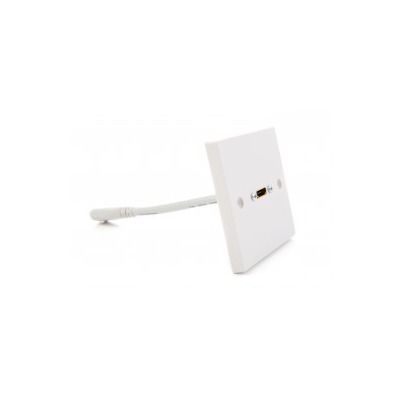 Everything from gaming consoles such as XBOXs and Playstations through to plasma televisions, home cinemas and set top boxes have HDMI connections. 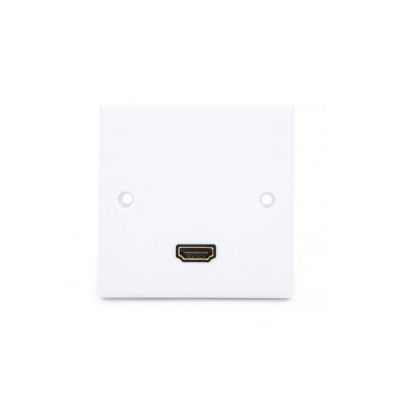 This means that to make the most of all the excellent content and quality these devices offer, having effective and fully functioning HDMI leads at your disposal is a must. 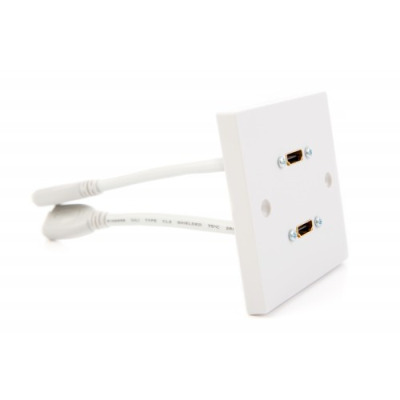 So, if you’re in need of monitor cables, computer cables or tv cables, an HDMI cable from Euronetwork can more often than not fit the bill. 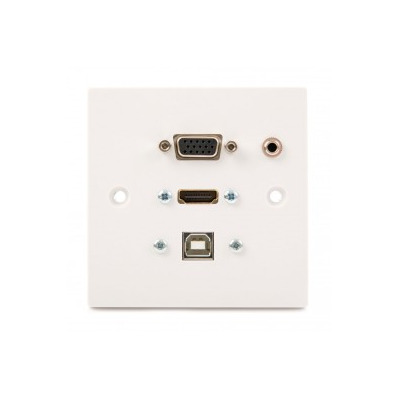 At Euronetwork, we stock a wide variety of 4K and standard HDMI cables that can allow you to get the most out of your technology and enjoy great content. 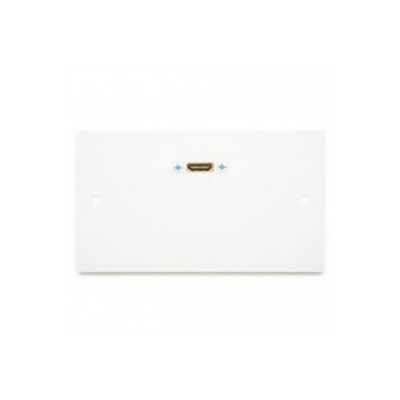 If you have any questions for our team, feel free to contact us on +44 1908 371909. You can also register for an account with Euronetwork today. 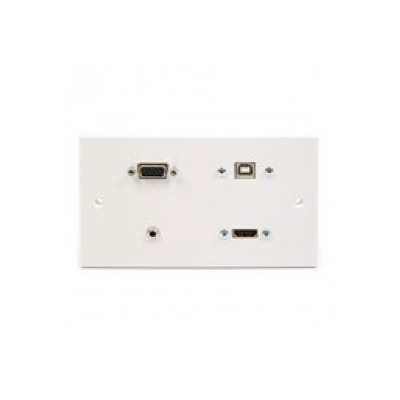 HDMI Wall Plate. 4K Plug and Play. 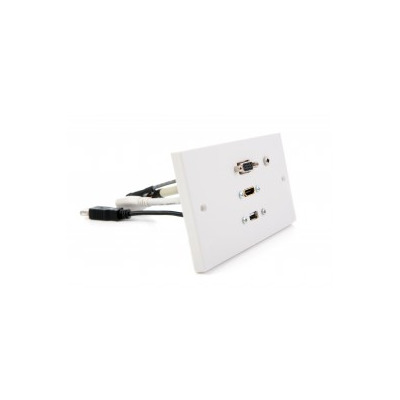 Single Gang HDMI Angled Wall Plate. 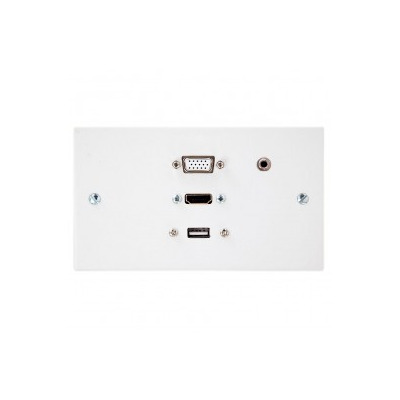 Double Gang Twin Hdmi, Vga, Usb B-A, 3.5Mm Wall Plate. 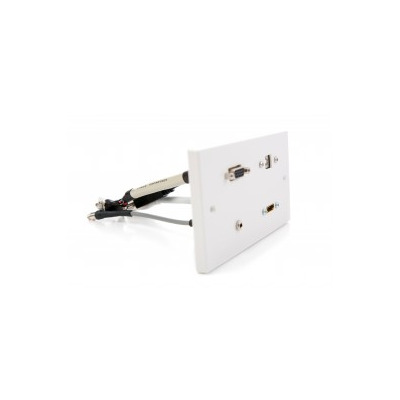 Double Gang White HDMI Coupler Wall Plate.